I started Crest Contracting and Roofing with a simple goal in mind - provide only the best commercial roofing services to businesses throughout the South. That meant using only the highest quality materials, providing the best customer service possible, and ensuring the job was done right every single time. Since Crest’s early days, our pursuit of excellence and dedication to quality have made for some very happy long-term clients. When you choose Crest for your commercial roofing needs, I’ll personally guarantee your 100% satisfaction and see to it myself that the job is done right every step of the way. If you are anything but thrilled with the service you receive, I encourage you to contact me and I will make it right. Our clients are a part of our family and deserve only the best. We will do everything we can to make sure Crest is the last commercial roofer you will ever need. Crest Contracting and Roofing is a family owned and operated commercial roofing company dedicated to the best possible experience for our clients. Headquartered in Ft. Worth, Texas we offer the same high quality commercial and industrial roofing services across the south in Tennessee and South Carolina. Services in North Carolina and Louisiana coming soon. 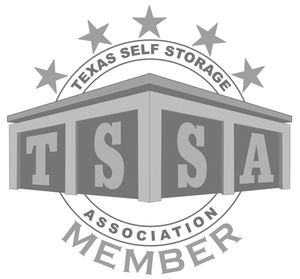 We are bonded and insured for your protection and peace of mind. 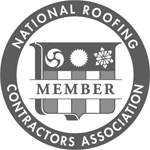 We are also members in good standing with local, state, and national roofing industry associations. Focused on offering the highest quality services, we specialize in commercial and industrial metal roofs and coatings from the best manufacturers in the industry, which enables us to provide the strongest warranty possible for your project. Our team has more than 50 years of combined experience in the construction and roofing industries. There isn’t a problem that we haven’t seen or cannot solve. Mastery of our craft is paramount, and that means our team stays at the forefront of construction standards and technology to keep our skills tack sharp. This is how we offer premium industry practices to ensure top notch customer service that guarantees your satisfaction. Thank you for your interest in Crest Contracting and Roofing! We look forward to adding you to our long list of extremely satisfied clients.